Gillette’s "The best men can be" campaign, which addresses bullying, sexism and harassment, has provoked a fierce debate online. The ad – which showcases the worst of male behaviour and asks: "Is this the best a man can get?" 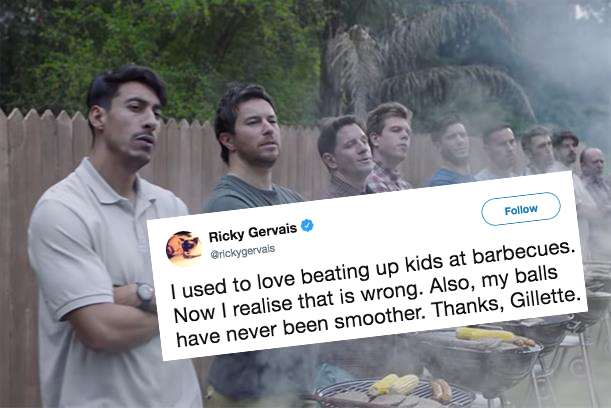 – has caused a stir on Twitter with users even starting a #BoycottGillette hashtag. the only ones lauding the Gillette ad work in media/advertising. everyone else sees it for what it is: a smarmy, condescending virtue signal aimed at the hardworking decent men they been price-gouging for years. The #Gillette commercial is the product of mainstream radicalized feminism— & emblematic of Cultural Marxism. Despite what Lena Dunham tells you, women are not into beta males & men are not into chicks w/ armpit hair. People are upset at @Gillette because the company challenged men to hold each other accountable for things like bullying and harassment. Think about what kind of person boycotts a company for promoting responsible behavior. Joe Wade, chief executive of Don't Panic, pointed out that brands that jump on a political purpose bandwagon with no "track record as a purposeful brand" often garner criticism. He said: "The backlash demonstrates that they have no right to be in this space that they have entered, learning nothing from Pepsi's 'Jennergate' debacle. "No-one looks to a razor company for guidance or wisdom on how to be a man." Does the Gillette ad mark a turning point in marketing masculinity?